Is it time for the debate, of whether or not the consecration of Russia took place, to end? The evidence seems overwhelming. The conversion of Russia is the most powerful event in the world today and being ignored by the mainstream media. Russia is converting and this mysterious Christian revival is at the heart of why USA and the west are so hostile towards Russia. All of today’s events can be seen through the lens of Marian prophecy at Fatima and at Medjugorje. Like the Virgin Mary at Fatima, the Queen of Peace of Medjugorje has singled out Russia as the central focus of her Christian prophecy. According to the Vatican’s most famous Mariologist, Rene Laurentine, in October of 1981 the Queen of Peace, in a message that can only be described as “prophetic” in nature said that “Russia would come to glorify God the most”… and that the West would make modern progress but would turn away from God. How extraordinary are these words in light of what is happening in the world today? The rising tensions between Russia and the United States, some say the hostilities are more dangerous than the “Cold War” days, seems to have come out of nowhere. The news story of Russia and Russia’s attempts to undermine the West’s “way of life” dominates our news headlines, our politics and our presidency. 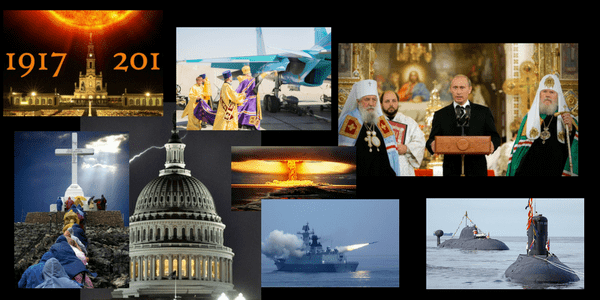 Russia’s Christian revival and how this event conflicts with the west’s aggressive efforts to push God out of our civilization is THE sign of the times and perhaps evidence that the tipping point is near. 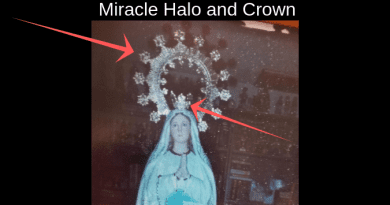 The video below illustrates, in a powerful way, how the Virgin Mary’s prophecies have been so precise, so accurate. First at Fatima Our Lady said “Russia would error”. This was manifested in the form of Communist atheism. Then at Medjugorje Our Lady said that “Russia would come to glorify God” and with the Christian revival in Russia taking place today we see that prophecy unfolding. It is essential to note that Russia’s spiritual revival began only after Pope John Paul II successfully consecrated Russia to Our Lady in March of 1984. 5. Fatima Secrets When you shall see a night illuminated by an nknown light know that this is the great sign that God gives you that He is going to punish the world for its many crimes by means of war, hunger, and persecution of the Church and the Holy Father. ‘To prevent this, I shall come to ask for the consecration of Russia to my Immaculate Heart and the Communion of Reparation on the First Saturdays.’ ‘If my requests are heeded, Russia will be converted, and there will be peace; if not, she will spread her errors throughout the world, causing wars and persecutions of the Church. The good will be martyred, the Holy Father will consecrate Russia to me, and she will be converted, and a period of peace will be granted to the world. 7. Bishop Hnilica, a close ally of both St. John Paul II and Mother Teresa, was told by Fatima seer Sister Lucia that the Blessed Mother spoke of Russia at least 22 times. “One day, on returning from Fatima where I had met Sister Lucia, I recounted to Mother Teresa what this famous seer had told me. I paused on a detail which had struck me, namely, that the Virgin of Fatima, in various apparitions, the official ones in 1917, and the private ones before Sister Lucia in the years that followed, had expressed an interest in Russia a good 22 times. Sr. Lucia told Fr. Joaoquin Alonso, who was the Fatima archivist for sixteen years, that it was her personal conviction that the promised conversion of Russia did not merely mean Russia’s abandonment of Marxism-Leninism and the return to Orthodoxy, but the complete restoration of Russia to the One, True, Catholic and Apostolic Church. Russia has always, including during czarist times, had a totalitarian system of government of which the Russian Orthodox Church is an essential component in a manner which makes it totally subservient and obedient to the state. And as such, it has always been, and remains implacably hostile to Rome. Those who cite the remarkable resurgence of Orthodoxy in Russia are seriously misreading the signs. What we are seeing, in fact, is the alarming rise of Russian Orthodox triumphalism in these times in which they wrongly sense the inevitable eclipse of the Catholic Church. There is a terrible deception at work here. Devout Orthodox Christian and “miraculous cross-wearing” Russian President Vladimir Putin is, I firmly believe, the most dangerous man in the world. We need only look to the prophecies of Bl. Elena Aiello to see, starkly presented, what we can expect from Russia in the very near future. Many ask, in sheer frustration, how it can be that seven popes have failed to consecrate Russia to the Immaculate Heart of Mary strictly in accordance with Heaven’s request. The usual, though preposterous assumption is that is was through sheer negligence. Pope Pius XI, two years prior to his election in 1922, traveled to Russia and was more than ready to shed his own blood for the sake of Russia’s conversion. The essentially simple reason why Heaven’s demands re – the Consecration of Russia have not been properly fulfilled is because of the abysmal failure of the entire Church to respond to an acceptable degree to Our Lady’s request at Fatima. And the prime reason for that is the failure of the hierarchy, over several decades, to take the lead in this regard, as is their absolute duty before God. 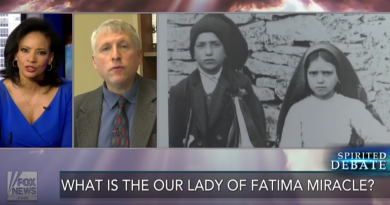 Even to this day, far too many bishops and priests throughout the who Western world remain indifferent to, or even antipathetic towards Fatima. It has been reported that Pope St. John Paul II when asked about the (1984) consecration by a priest replied; “We did it the best we could.” Over the years, many have privately confided that, as far as Fatima is concerned, our hands are tied. The requisite consecration of Russia is a solemn, public act of consecration by the Pope, in union with ALL the bishops of the world, each in his own cathedral, and at the same time if possible. This of course must include all priests under each bishop’s respective authority, and the laity. In short, all of us. Our Blessed Lady promised Mirjana that, what She began in Fatima, She will complete In Medjugorje. 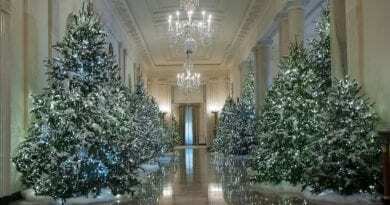 How that will be manifested,and when, is only for Her to know at this point. But we do understand that the requisite Consecration will only be made when things are at their very worst, a situation that can, and almost certainly will come about without warning. And the conversion of Russia at the height of this tribulation will astound the world, and all will know that it has been brought about by the intercession of the Immaculate Heart of Mary. I suppose the most frequent mistake we make is to equate “the errors of Russia” which will be “spread throughout the world” with the rotten, diabolic fruits of the Bolshevik Revolution. And there is no doubt that Marxism, in its many, many guises, has indeed all but conquered every country on earth, though tragically, in our unprecedented spiritual blindness, we have rendered ourselves incapable of seeing it for what it truly is. But the “errors of Russia” have a history covering many centuries, though given Russia’s vast potential to be a spiritual powerhouse for the rest of humanity, I think it can be argued that it was this as yet unmanifested potential, and its age old hostility to the Catholic Church that made Russia the obvious candidate for the culmination of these errors in the form of the Bolshevik Revolution. Russian Orthodoxy has always believed itself to be the one, true faith, and the Church of Rome is heretical. The Russian state/Orthodox Church, which has always been a single unit, considers itself to be at war with with the Roman Catholic Church. It has been said, in fact, that the tensions between the Russian Orthodox Church and the Catholic Church are a microcosm of the tensions, political, territorial and religious, between Russia and the West. A very significant part of Russia’s hostility towards Rome derives from the unholy alliance Russia and the Orthodox Church made with the Islamic world in the years following the Mongol invasion in the thirteenth century. The sole basis for this unholy alliance was the shared, implacable hostility of the Russian state/ Orthodox Church complex and the Islamic world towards the Church of Rome, which both these partners in crime wanted to see destroyed. The demoniac Lenin clearly saw the potential for Islam to be a vehicle for the advancement of global revolution without the Muslims understanding who, and what, was pulling their strings. It is fact of history that, in the immediate aftermath of the Bolshevik Revolution, Lenin began making overtures to Russian Muslims, persuading them that the reason for the backwardness of the Islamic world was its ruthless exploitation by the capitalist, imperialist West. Russian Muslims in their tens of thousands were enthusiastically recruited into the fledgling Red Army.What we now regard as contemporary Islamic terrorism really began to be globally manifested after 1967 when another demoniac, Yuri Andropov, became Chairman of the KGB. He further exploited Islam’s potential as an instrument of global revolution by turning traditional anti-Semitism into Islamic anti-Americanism, and many of those who subsequently re-invented themselves as Muslim fundamentalists were, originally, communists. The Popular Front for the Liberation of Palestine, (PFLP), was founded and financed by the KGB and its terrorists, who began their careers by hijacking Israeli airliners, were trained by the KGB at a special facility east of Moscow. 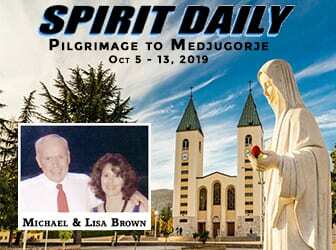 When the apparitions of Our Blessed Lady at Medjugorje began in 1981, the Catholics in the Croatian and Bosnian parts of the former Yugoslav Federation were suffering quite severe harassment, discrimination and sometimes outright persecution at the hands of the communist authorities. Now, the Yugoslav Federation is long gone, and the peoples of the various republics are no longer living under communism. 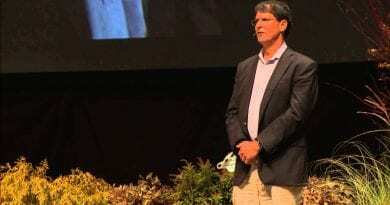 But …….. On a recent trip by bus from Medjugorje to Zagreb, what was particularly noticeable, particularly throughout the whole of central Bosnia, was the prevalence of Islam. And we are increasingly hearing reports of the Catholic, (Croat) population of Bosnia suffering blatant discrimination at the hands of the civil authorities, and indeed, one Bosnian prelate, (Puljic, I think), attempted to draw our attention to the fact. What he didn’t mention was that these same civil authorities are no longer communist, but Muslim. So, it can be reasonably argued that, in this particular context, communism and Islam are one and the same thing and are serving the same purpose. Meanwhile, of course, Medjugorje remains a beautiful, heaven-sent haven of peace. There is no doubt that Russia enjoys heaven’s election as a most powerful and irresistible means for the re-evangelisation of the West. But it is surely an absurd proposition that this potential can be realised by anything other than Catholic Russia. The continuing re-emergence of Orthodoxy is a sure sign of the Holy Spirit preparing the Russian Orthodox Church and people for their miraculous and spontaneous conversion that the Consecration of Russia will bring about. This preparation, which is now gaining momentum, is surely the greatest fruit of the consecration made by Pope St. John Paul II on the Feast of the Annunciation, March 25th. 1984. And when Russia’s long-awaited conversion to the catholic Church does occur, it will also bring about the conversion of most, if not all of the Islamic world, because for many, many centuries, the Russian state/Orthodox Church complex and Islam have been nothing other than different facets of the same diabolic device whose purpose is, and always has been, is the destruction of the Catholic Church. If I may be permitted the indulgence of adding one further observation to my already inordinately long post: Our Lady promised that, “In the end, the Holy Father will consecrate Russia to me ……… Russia will be converted, and a period of peace will be given to the world.” In the thirty – plus years that have elapsed since Pope St. John Paul II’s 1984 consecration of the world to the Immaculate Heart of Mary, the world, far from knowing anything even remotely approaching peace, has been brought to the very brink of the greatest upheavals in all of human history. This inescapable fact alone disqualifies the re-emergence of Russian Orthodox Christianity as being the ‘evolving’ conversion of Russia promised by Our Lady at Fatima. This is before we consider the obvious fact that Orthodox Russia is inherently incapable of being the vitally necessary force for re-evangelisation of the post Christian civilisation whose genesis was due entirely to the Roman Catholic Church. In fact, Orthodox Russia would not be permitted by Heaven to be the principal means by which Western civilisation will be brought back to its thoroughly Roman Catholic foundations. There would be a profound contradiction here, and the Holy Spirit does not deal in contradictions. Only a Roman Catholic Russia could ever meet the necessary requirements. I do sincerely apologise; I do understand that any further contribution from me on this subject must seem terribly self-indulgent. But rather by way of what I may call a ‘footnote’ to my post, may I say that, on January 3rd. 1944, Sr. Lucia was given a vision of a future terrible war, and was then told; “In time, one faith, one baptism, one Church; Holy, Catholic, and Apostolic. 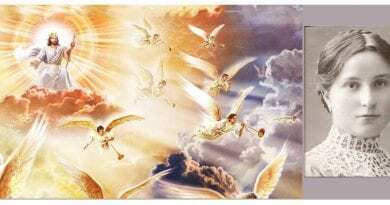 In eternity, Heaven!” So, there we have it in the proverbial nutshell! The necessary conversion of Russia to the Catholic Faith will take place either in the aftermath, or, most likely, at the height of this terrible war. Therefore the the requisite collegial Consecration of Russia to the Immaculate Heart of Mary will be accomplished out of dire necessity when this devastating war is still raging. It really couldn’t be plainer than that.